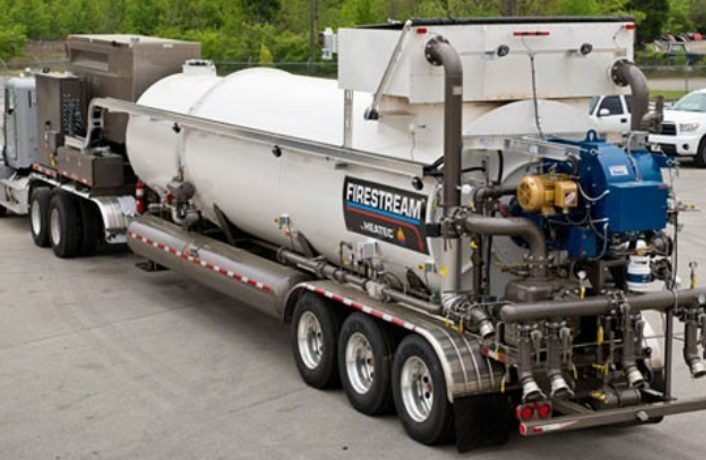 Heatec’s portable rigs named FIRESTREAM™ heat feed water for fracking. Unlike “hot oiler designs” of other rigs, they feature helical coil heaters with numerous safety features to avoid mishaps common in fracking. Although we make several other types of heaters for other industries, our helical coil heater is the most popular. Its popularity comes from its simplicity, efficiency, low maintenance and relatively low cost.